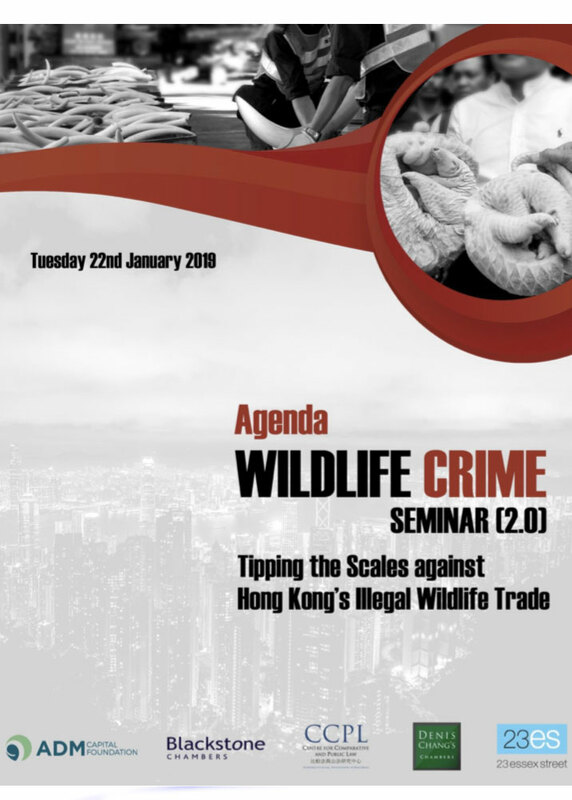 The seminar on January 22 2019 brought together the legal community, government, NGOs, financial crimes and wildlife investigators to share views on how to combat the trade in illegal wildlife products through Hong Kong. An objective was to highlight the urgency to act against the illegal trade in Hong Kong, given the growing volume of wildlife seizures in the city – much of it bound for China. ADMCF presented findings of the new Hong Kong Wildlife Trade Working Group Report: Trading in Extinction: The Dark Side of Hong Kong’s Wildlife Trade. Remain current on our projects, reports, news, campaigns & other impact-driven updates.